The weather is really turning cold now and temperatures have dropped. Preparing your garden for winter is vital for both practical and cosmetic reasons. With the snow that has been predicted for this year, it is important to remove all garden debris before it ends up covered in a layer of white. If left, plant debris can harbour pests and diseases throughout the winter. Rake up all your leaves and collect any plant debris, then put in your compost pile. Any plants that have been suffered from diseases or infected with pests should be destroyed though to prevent them affecting anything else in your garden. Autumn is a great time to give all your garden equipment a good servicing and a clean. You won’t be likely to use your tools during the winter, so check they still work and then clean them up ready for the spring. Throw away any old or broken tools and store the ones you are keeping in a dry, secure place. Try and be methodical about how you pack them up, as you don’t want to come back in the spring and not be able to find the one thing you need. Evergreen plants are a brilliant staple to have in your garden, as they provide structure and colour all year round. Fill any gaps in your borders with evergreen plants before winter hits so that you still have a lovely garden to look out on when it gets cold. Sarcococca and Daphne are both beautiful plants that have glossy green leaves and lovely fragrant flowers right into the depths of winter, even when the rest of your garden is lying dormant. If you are looking for something bigger, you could also try Fatsia or Camellias. Autumn is a good time of year to use the compost that you have made throughout the year. This also means you can have an empty compost bin ready to put your new debris in to decompose over winter. Put a layer of compost over your soil, as not only will this help it to absorb any nutrients lost over the summer months, but it will also protect the soil and any bulbs underneath from the frost when the weather gets cold. Now is the time to start planting shrubs for next spring and summer. 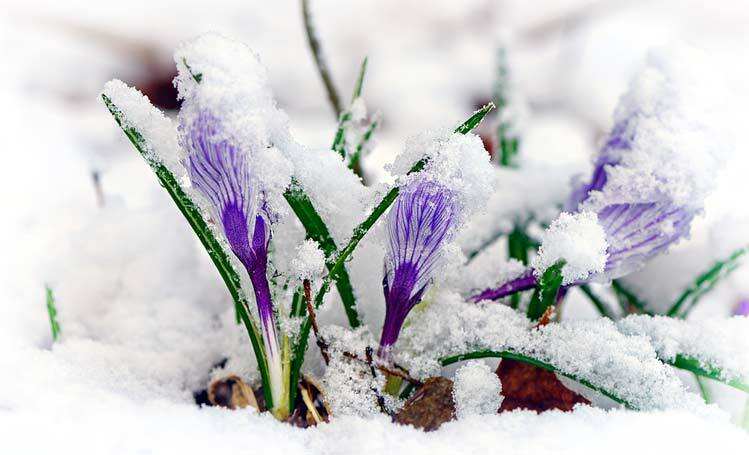 Choose a range of perennials but put them in before it gets icy, as they will really need to establish their roots, and hard ground isn’t as easy to dig into. If you plant things in your garden to appear in spring, then make sure you still water them if needed. It’s easy to forget when its cold and you can’t see anything growing, but the soil could still be very dry during the winter months. Winter can be tough on the little animals and birds that live in and around our gardens. It can be very cold for wildlife and they often struggle to find food and water during the colder months. Buy a little bird feeder and fill it with nuts and make sure there is a little tub of water somewhere in your garden in case they are thirsty – make sure it doesn’t freeze over though. It’s also nice to provide little areas of refuge for the very cold days, so try and make a little den out of logs somewhere in the corner of your garden.